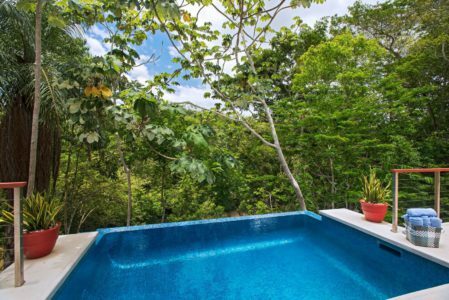 With spectacular panoramic views and perched high atop the Macal River, the Treetop Jacuzzi Suites provide a one-of-a-kind experience. 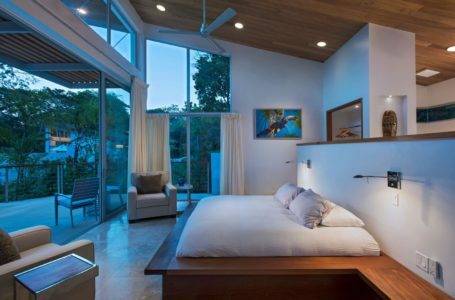 Each one-bedroom suite contains a private outdoor jacuzzi perfect for stargazing or unwinding with a sundowner. The expansive suites are perfect for honeymooners or can easily accommodate family groups with comfortable sleeping arrangements for four. The Garden Suite is furnished with a queen-size bed as well as a day bed that converts from a sofa into a comfortable single. 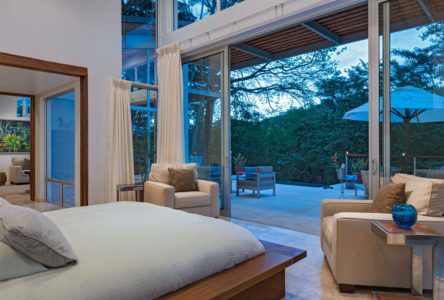 This room also comes with a private, screened veranda with sweeping jungle views. 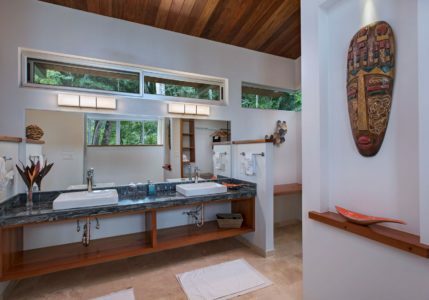 The Garden Jacuzzi Suite features a mahogany four-poster bed, fine linens, Guatemalan antique furniture, a spacious bath with Jacuzzi and a private screened veranda with jungle garden. Both suites open out onto large verandas with hammocks overlooking the gardens. They can be booked separately or as a combined unit for friends or families traveling together. 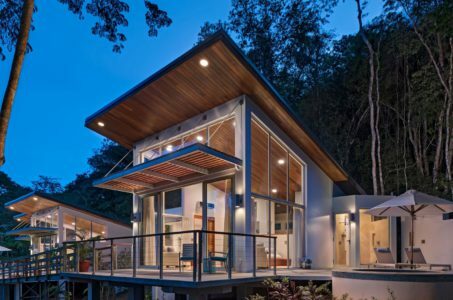 Overlooking the orchard on the Macal River, the Orchard Villa was designed with families or groups of friends in mind. The expansive thatched cottage contains two queen-size sleeping bays separated by closeted walls, a full bathroom and a winding staircase leading to an upper loft, which offers a further two single beds and its own private bathroom. 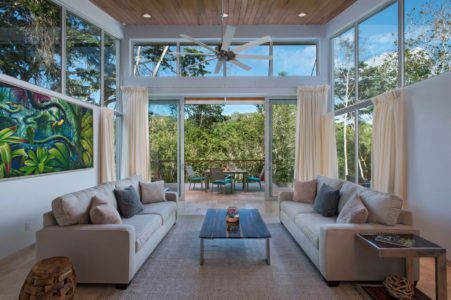 A screened-in sitting room offers stunning views of the surrounding tropical gardens and orchard. Chaa Creek’s Cottage Collection are individually designed thatched cottages furnished with a elegant mix of hand crafted furniture, fine fabrics and local and international art. 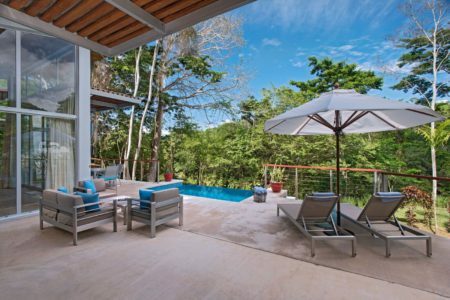 The spacious rooms all feature private sundeck verandas to enjoy your own private piece of the jungle. 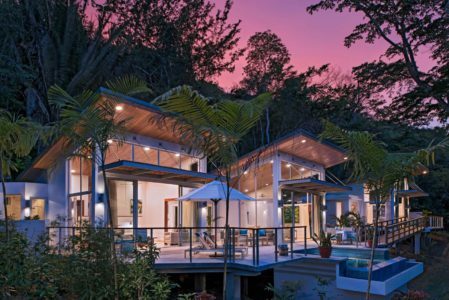 Perched on the edge of the Macal River, the Macal Cottage combines elegant simplicity with stylish décor to create a romantic ambiance, with a pristine rainforest backdrop. Nestled amidst tropical gardens, the spacious accommodation, with its king sized bed and oversized day bed, includes two private terraces with hammocks and an al fresco jacuzzi. The three bedroom Spa Villa features a master bedroom with a king size bed and en suite bathroom, a second bedroom with a queen and single bed and a third bedroom with a queen canopy bed. Guests can enjoy a panoramic view of the lush jungle from the spacious glass walled living room and large wrap around veranda with jacuzzi. Spa treatments are also on offer in the comfort and privacy of the Spa Villa lodging. The air-conditioned Villa also contains a full kitchen and its own fully stocked bar. With fresh flowers, tasteful art, a state of the art sound and media system, the new Spa Villa raises the bar on jungle luxury to a new level. NOTE: Children must be over 10 years old to stay in the Spa Villa. 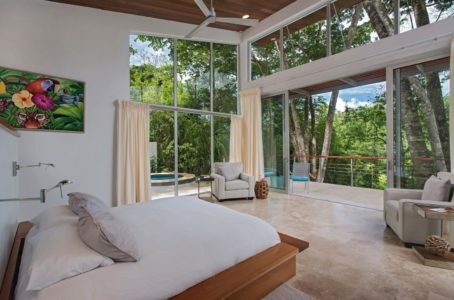 Featuring an expansive veranda with a private plunge pool, outdoor jacuzzi and al fresco shower, surrounded by pristine rainforest and married with luxurious interiors, floor to ceiling glass walls and dedicated butler service, the Ix Chel Villas are upping the anti for luxury in Belize. 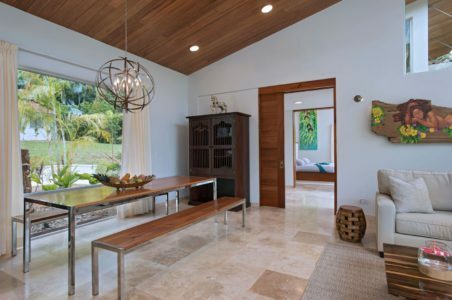 The flexible layout options also allow for a range of booking options and configurations, making the Villas a perfect choice for families, groups, couples, and honeymooners. The rates are not inclusive of 12% Gratuity and 12.5% General Sales Tax. NOTE: Children under 10 are not allowed to stay in the Spa Villa.